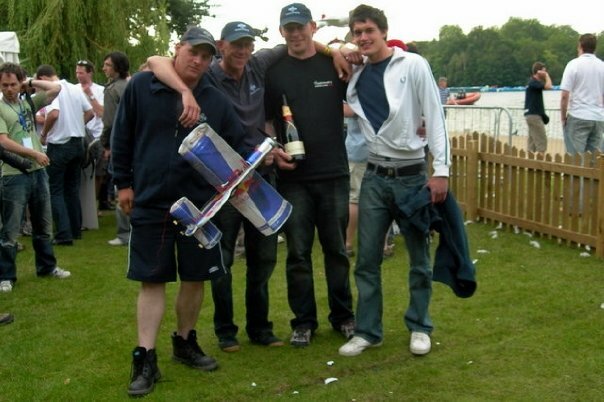 Paul Heckles,Chris Gladwin, Christopher Merchant and Pete Roper Win Red Bull FlugTag 2008! 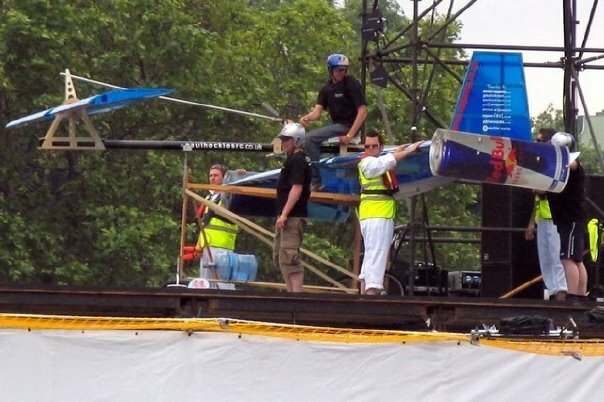 In 2008 along with 20000 other people we applied to enter the “Redbull Flugtag” to be held in Hide Park in London. 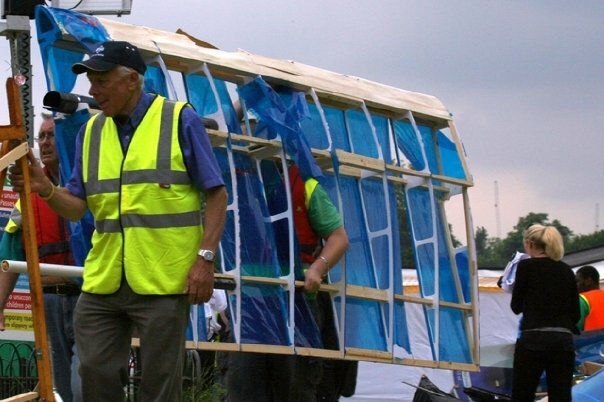 Some time later we discovered that our aircraft design had been selected to compete with 39 other teams..now we just had to make it! 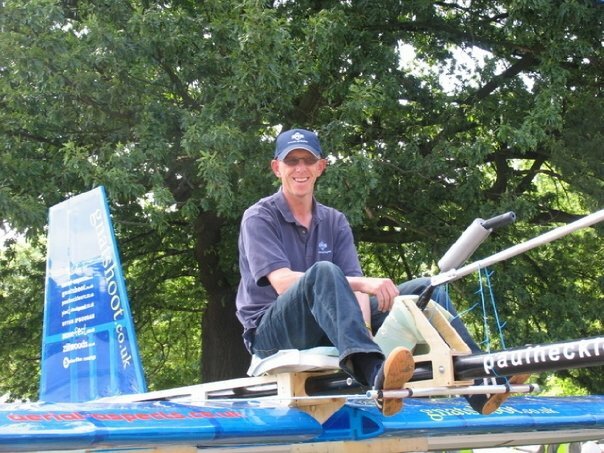 We had 30 days to make a plane that could fly as far as possible from a 9m high ramp into a lake, unknown to Paul at the time he was going to be the test pilot! 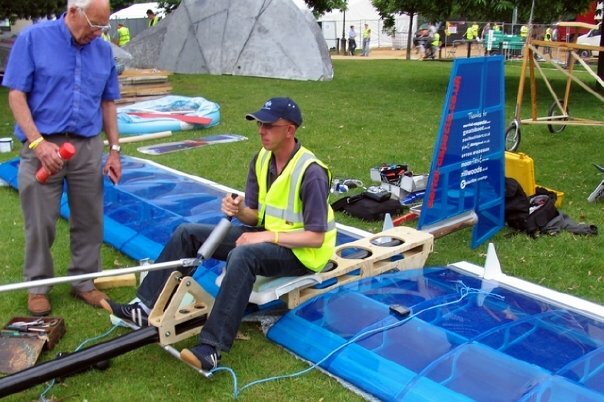 Thanks to a number of people all the wing ribs were cnc cut and solar film was used to cover the 9m of wing and tail and the plane slowly took shape. Now we just had to get it into the centre of London! 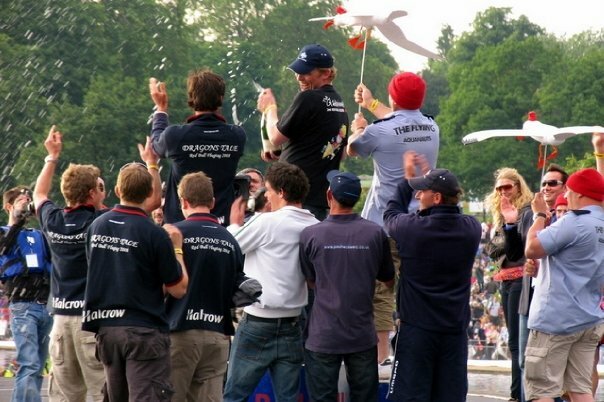 On the day of the competition 100,000 people turned up to watch and conditions were perfect. 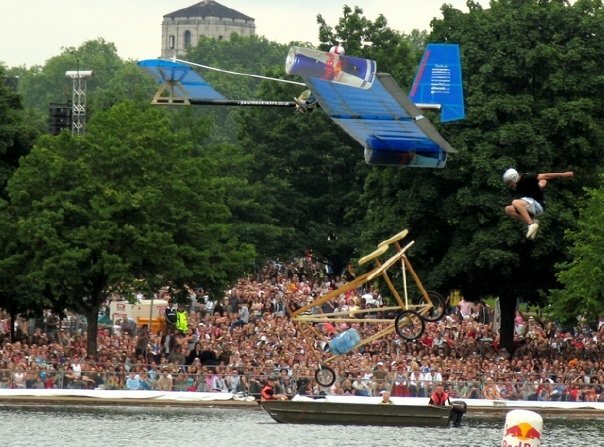 All we had to do was push Paul off the ramp and into the lake as fast as we could. 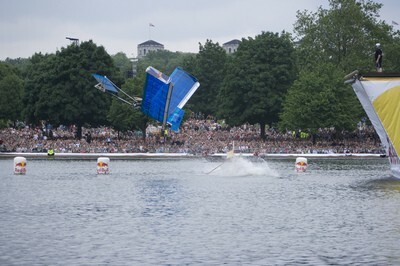 The plane shot down the ramp on its trolley and soared into the sky…briefly until after 30m the wings snapped and Paul and the plane fell nose first into the lake. 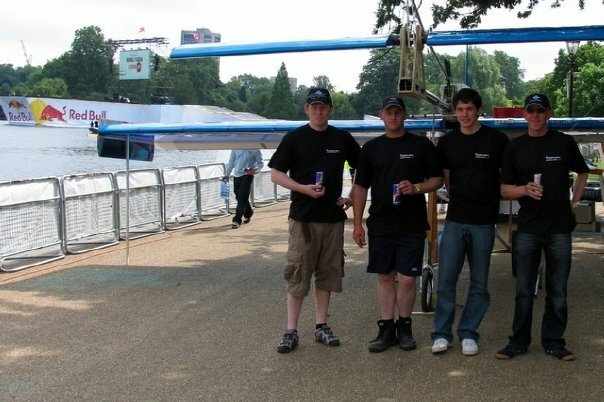 Somehow this turned out to be the longest flight of the day making us the champions, winning a first prize of £5000.. 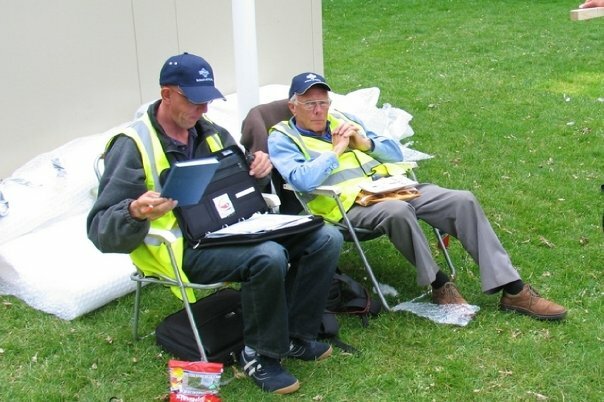 Article by Chris Gladwin of "lasercutmodels.co.uk"
Paul Heckles School of Flying became the Flight Centre in 2013 through a realisation that model training was only a small part of the services offered. Set in the beautiful Wiltshire countryside the centre offers all types of training on both fixed and rotary wing aircraft. As well as individually tailored training the centre explains theory, offers a professional build / repair service and technical model setup.